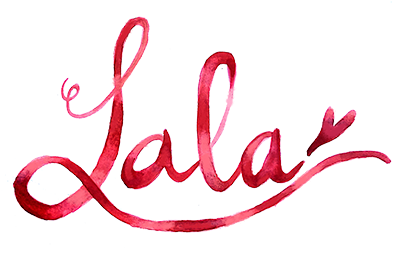 I am pretty sure most of you guys have already heard about Althea, right? 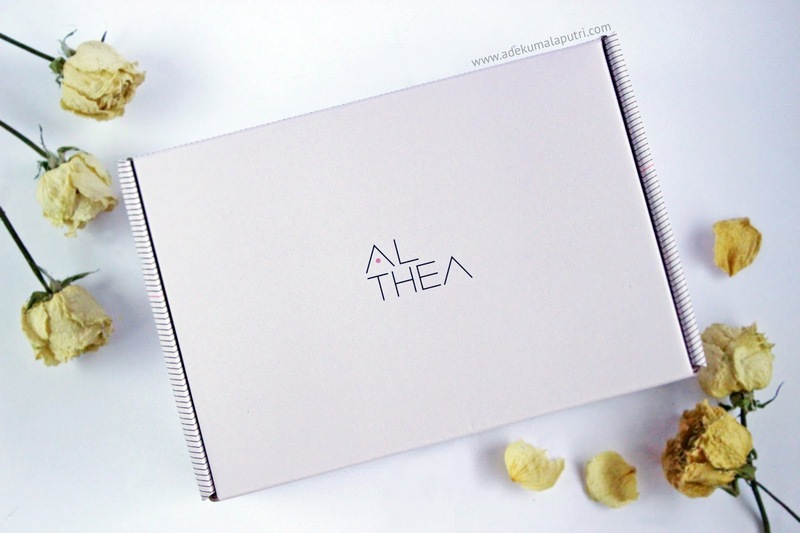 Althea is a Korean e-commerce that sells a lot of Korean beauty products directly from South Korea to consumers in Indonesia, Singapore, Malaysia, Philippines and Thailand with reasonable prices. Well, I received my package about 13 days after I ordered it, and I did not have to deal with Indonesian customs yay! My package came in a pink sturdy box inside a fuschia plastic pouch, and all of the products inside are wrapped safely in bubble wrap. Nature Republic Forest Garden Chamomile Cleansing Oil - IDR. 157,100. April Skin Magic Snow Cushion - IDR. 184,700. The Saem Cover Perfection Tip Concealer - IDR. 55,700. 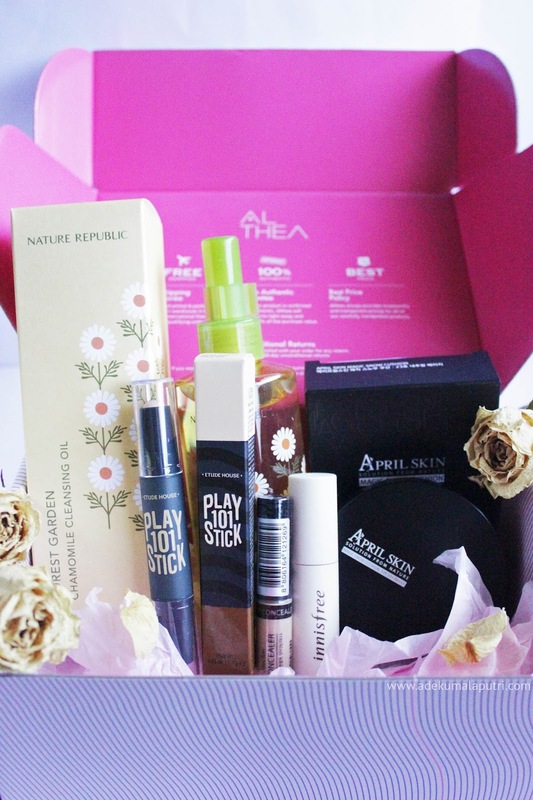 Etude House Play 101 Stick Contour Duo - IDR. 159,100. Innisfree Vivid Tint Rouge #02 Peach - IDR. 137,000. I will try to review them one by one as soon as possible, so please stay tuned! 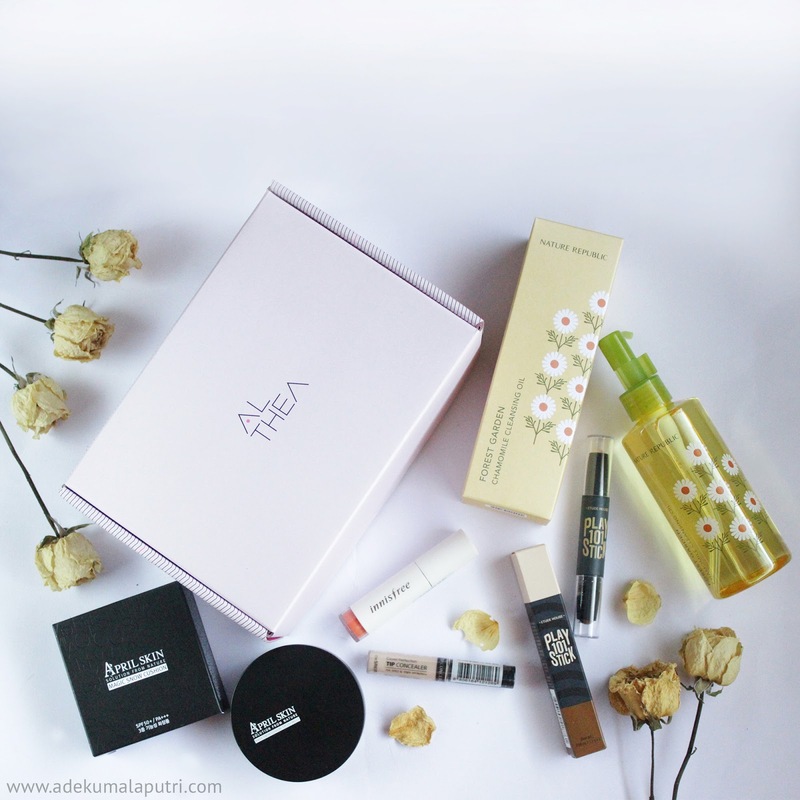 And yeah I am quite satisfied with my first shopping experience at Althea, that is why I will definitely re-order from them again in the near future. 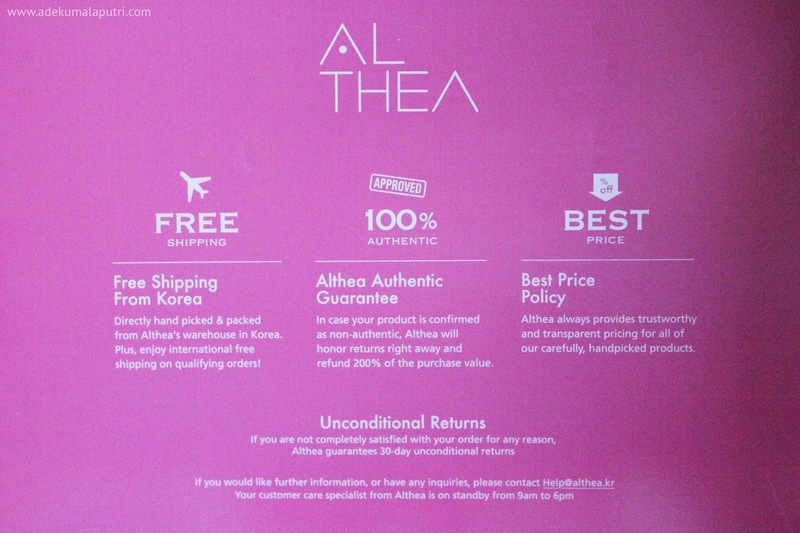 So, have you ever shopped at Althea? And which one do you want me to review first?